Moving abroad and leaving your home country is a major life decision. More and more people are choosing to move overseas for employment or retirement reasons or simply just to experience a different lifestyle and culture. At the end of the day, it is important that you have carefully researched into all factors mentioned down below. Followed by carefully evaluating the pros and cons of each aspect that would best suit you and your family before you decide. It’s best to refer a handful of websites in your destination country that would feature information with personal blogs and articles on practical advice and recommendations. In the meantime, we’ve put together this handy guide covering everything you need to know about moving abroad as an expat. No matter which country you’re travelling to, it’s inevitable that you’ll have to deal with a huge amount of paperwork and bureaucracy. One of the most important things to do is ensure all of your information is up-to-date, since the rules and regulations may have been revised since the last time you checked. Ensure that you obtain this information from a trustworthy website or call the consulate in your country. Confirm that your passport has at least 6 months validity remaining, just to avoid any complications. Other essential documents that you should bring are birth certificates, marriage certificates, educational certificates, tax and social insurance records. Once you have arrived in your new country, you may be required to apply for a residence permit or an identity card. However, this largely depends on the country you decide to reside in. It’s best to research this before making your move. Familiarise yourself with the immigration procedure in your destination country, for example, any registration required with the immigration department, especially if there are fees involved. If you’re considering taking your own car, weigh up the cost of transporting the vehicle and paying import duties, compared to the cost of buying a new car in your destination country. Travelling overseas to reside permanently inevitably means lots of bulky luggage, and the cost of hiring an international moving company can be extortionate when you’re transporting absolutely everything you own. You can always research other options when it comes to moving your stuff overseas. As a cost-effective alternative, you could ship your luggage to your new home with My Baggage’s door to door service that aims to deliver your luggage quickly and efficiently at a competitive price. Normally, expats fall into three groups: those who intend to rent accommodation only, those who have already bought a property and those who intend to temporarily stay in rented accommodation and search for properties once they arrive. Seek out the expertise of a relocation agent, or ask any fellow expats who are already living there to recommend any suitable locations or a local real estate agent. Be careful of property scams and such, always make sure you’ve taken legal advice before signing any contracts or agreements when buying or renting property. In many countries, you may have to pay for medical care, although emergency treatments in some hospitals may be free of charge. Nonetheless, make sure you have your medical card with you. Private medical insurance may be needed in countries where healthcare is expensive. Before travelling to your destination country, check with your employer about what the health insurance, if any, does or does not cover. The British Foreign and Commonwealth Office (www.fco.gov.uk) and the U.S. Department of State (www.travel.state.gov) both provide up-to-date information on the health and other risks associated with travel to countries around the world. In general, you would be more successful in securing a job overseas if you’re qualified in specialist or professional fields such as IT, medicine, engineering and management professionals as well as qualified English language teachers. You should research whether the qualification you have previously obtained is still recognised in your destination country. Moreover, if there’s a possibility for any further training or additional skills you will have to acquire before starting work. The European Employment Services website (EURES) at http://ec.europa.eu/eures/ is a useful resource for information on job vacancies within EU countries. Also, check for any advertised posts online from your country’s recruitment agencies. It’s also advisable to learn the local lingo. Having some kind of fluency in the local language is beneficial when interacting with your colleagues, superiors and clients. The first few months should be the time when you are extra careful of all expenditures as well as budgeting for all cost of living until you are sure you start to maintain a steady income. Things that you should be budgeting for will include: alcohol and tobacco, clothing, communication, education, furniture and appliances, groceries, healthcare, housing, miscellaneous, personal care, recreation, restaurants and hotels and transport. We often find that we spend more than we expected, even if we live in a country with a low cost of living. If you are moving abroad to take up a job, find out what benefits you are entitled to that would subsidise your relocation expenses, such as travel or catered accommodation. The salary offer you are going to receive may be considered high in different countries, and you should take this into account and be realistic about the lifestyle you can afford. With the recent events, fluctuations in exchange rates can make a big difference to your income as an expat. Before accepting employment, make sure you’re aware of these differences due to the exchange rate. Or the one solution could be that the payment is made in the currency of the country where one will be living and working. The currency exchange rate also affects tourism which may, in turn, affect expats living in the local area. 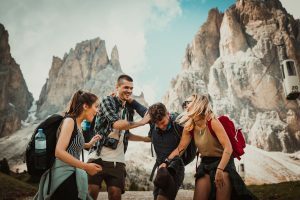 Countries that rely heavily on tourism – often those countries popular with expats – may find that holidaymakers choose to go elsewhere where their money is worth more, which again, may cause the cost of living to rise. There are many methods of transferring money overseas, such as International Bank Transfers (e.g. HSBC), Cash Machine/ATM Withdrawals and currency brokers. Although for the first two options, you will need to arrange either regular transactions with your bank. But beware of the hefty charges that some banks may exercise. It is always worth taking on professional advice on tax matters, especially in countries where taxation is a complicated matter, this may depend on how much more or less you are required to pay. You may want to start by taking the income tax rate into account when moving to a particular country. Some countries such as Belgium have an insanely high tax rate of 50% of monthly salaries, whereas countries like Saudi Arabia are exempt from tax. You should always check your liability for tax in your home country for any annual tax returns. A percentage of expats may be retirees – those who have finished working and looking forward to settling down abroad and enjoying a new life. For state pensions, you should ensure that you are entitled to some kind of old age pension when you retire. However, you will not be able to claim this money until you reach the retirement age of the country where the contributions are paid when you move abroad. It may be possible for you to make contributions to your state pension at home even if you are working abroad, so you can still add to your pension fund although you are not in the country. It is unlikely that any expat worker will be entitled to a state pension from the country that they have been working in unless they have permanent residency status and have been there for a set number of years, making the necessary contributions into the social security system. Any overseas scheme that you wish to transfer your pension to must be approved by Her Majesty’s Revenue & Customs (HMRC). Make sure to read travel advisories and stay ahead of any news regarding travelling pertaining to your destination. It’s vital that you fully analyse the background of your chosen city, for example, the crime rate, the effectiveness of law and order, and the general political and economic stability of the country. Also, ensure that your luggage content is within the restrictions and security requirements before you travel. Other helpful tips include familiarising yourself with emergency phone numbers, such as the local police department, fire emergency services, and the ambulance etc. And make sure you have an emergency contact locally just in case of any unforeseen circumstances. Although the English language has become the global international language in the last 200 years, it’s always a good idea to educate yourself in the local language as much as you can to prevent language barrier issues. It is worth checking out the embassy of the destination country in case they have information on any helpful language courses. Pets are an integral part of family life, and as such, many expats will want to bring theirs to their new home in a new country. However, it is imperative to research whether your destination country (as well as your new accommodation) allow the importation of your pet. Important information to double check for maybe quarantine requirements and any vaccination schemes, as well as your pet’s documents. Don’t be embarrassed if you end up breaking some cultural taboos once you first arrive in a foreign country, even if their culture may not be all that different on the surface. Subjects such as religion are sensitive subjects, therefore you need to be aware of these differences and refrain from offending anyone or coming off as insensitive. All in all, it’s no secret that relocation can be extremely stressful, and the negative effects can hugely impact on your mental well-being which in turn affect work and personal lives. Be sure to take time out to de-stress and relax, because after all, moving abroad to an exotic place that’s wholly different from your country of origin is an experience to be enjoyed! Are you planning to move abroad? Get a quote from My Baggage today! My name is Katy and I look after the online community for Uni Baggage! 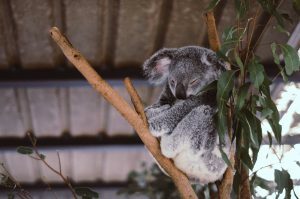 What is an Australian Working Holiday Visa?